Apr. 18 2016, 1:01 p.m.
GUSTAVO CASTRO was the sole witness to the murder on March 3 of Honduran activist Berta Cáceres, the co-founder of the Civic Council of Popular and Indigenous Movements of Honduras (COPINH). Castro, the director of Other Worlds, an environmental organization in Chiapas, Mexico, was also shot in the attack. After being barred from leaving Honduras, Castro was released on March 30 and has since settled in an undisclosed location. Last week he spoke by phone to The Intercept about the night of the murder and the reasons why environmental activism in Latin America is so dangerous. Human rights activists take part in a protest to claim justice after the murdered of indigenous activist leader Berta Cáceres in Tegucigalpa on March 17, 2016. I don’t remember her saying anything like that. She did say they were employees, people in favor of the company. In fact when I arrived in Mexico, on March 30, the public prosecutor’s office in Honduras published a press release publicly linking the company to their line of investigation. In the press release they also announced that they had seized weapons and questioned some of the company’s people. But they didn’t want to get to this point. Before coming to that line of investigation, I got the impression they wanted to see if another line of investigation could be useful or believable for national and international public opinion, but that was impossible. Everyone in COPINH already knew the recent history, so they had no other option than to finally go after the company. I’m unaware of any advances they’ve had in this line of investigation.Over the last decade there were more than 100 murders of environmentalists in Honduras. And these conflicts are often linked to the army and the police. That’s part of the reality of Honduras. In this specific case, Berta said that the guilty party was the company. It was the company with which she had a strong and direct confrontation. A 745-foot-high dam under construction for a future power plant in Honduras, April 4, 1983. 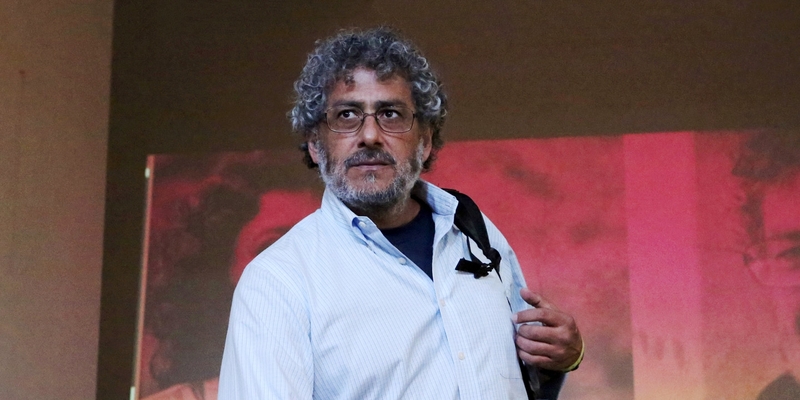 Top photo: Activist Gustavo Castro at a news conference at the Miguel Agustín Pro Juárez Human Rights Center in Mexico, April 4, 2016. 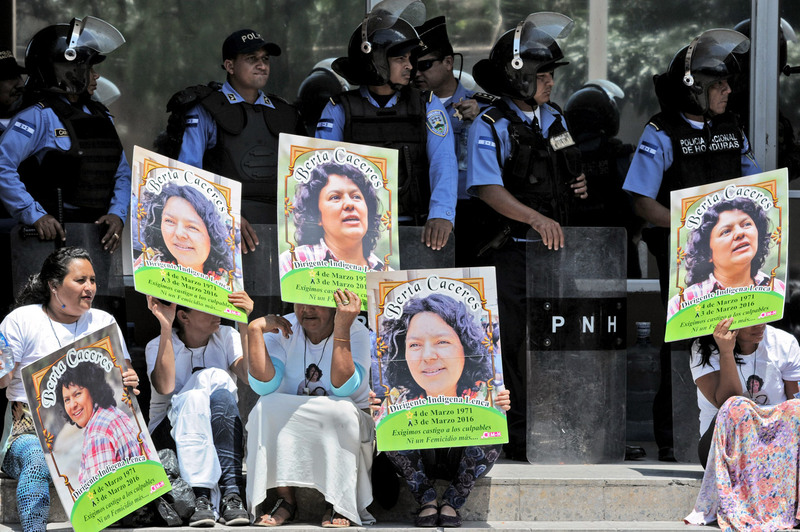 Castro is a key witness in the March 3 fatal shooting of activist Berta Cáceres in Honduras. As one of the fastest growing global commodities, palm oil has recently earned a reputation as a major contributor to tropical deforestation and, therefore, to climate change as well. The World Bank’s mission is to eradicate poverty. However, critics say its history in Latin America is tainted by land conflicts, human rights abuses, and environmental destruction. The World Bank was criticized by its internal auditor on Monday for not properly carrying out adequate environmental and social safeguards before lending money to Honduras’ largest bank. 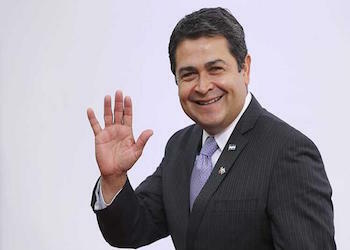 This is the second time this year that the International Finance Corporation (IFC), the World Bank’s private-sector arm, has come under fire for irresponsible lending practices in Honduras. The IFC’s Office of the Compliance Advisor Ombudsman (CAO) noted in its audit that the IFC’s 2011 loan of US$70 million to Banco Fichosa failed to adequately assess the Honduran bank’s high-risk clients. “The absence of an environmental and social review process that was commensurate to risk meant that key decision makers … were not presented with an adequate assessment of the risks that were attached to this investment,” the CAO report stated. One of Fichosa’s clients, also a past IFC loan recipient, is the Honduran palm oil company Dinant. 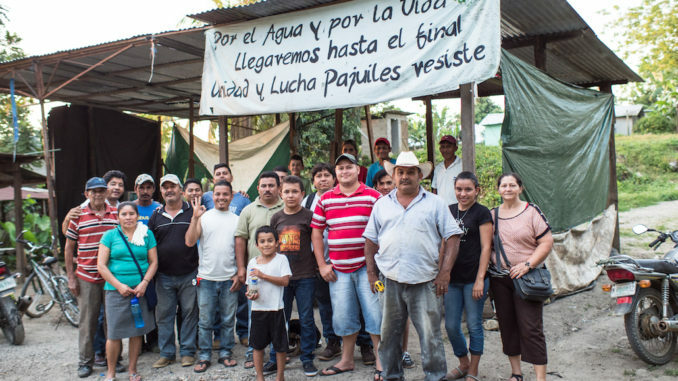 Dinant’s operations in Honduras’ Bajo Aguan Valley have sparked decades-long land disputes with local campesinos, along with charges of human rights abuses against the company. 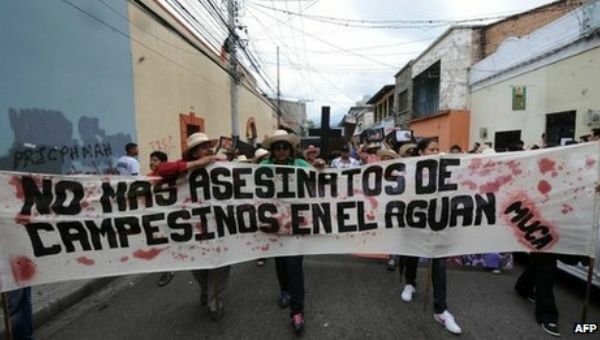 Human rights groups claim that the company’s private security, working closely with Honduran military forces, is responsible for the murder of at least dozens of local campesinos – a fact that the CAO cited in a previous audit released in January criticizing the IFC’s 2009 loan to Dinant. 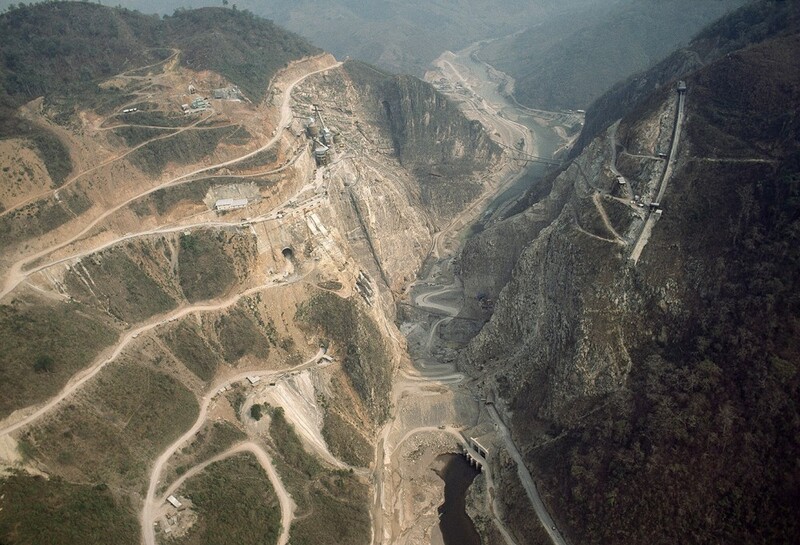 The CAO stated in Monday’s report that discovering that Dinant was a client of Fichosa, “a company which IFC knew to be affected by a violent land conflict,” led the auditing agency to initiate its investigation. “Let’s be clear, this is not just about failing to take account of social and environmental risks. This is the World Bank profiteering from businesses that are implicated in murders, disappearances and land theft,” David Pred, Managing Director of Inclusive Development International, told teleSUR English. Carla Garcia Zendejas, a program director at the Washington-based Center for International Environmental Law, said that while one could conclude that financial interests may trump human rights concerns at the World Bank, the organization’s bureaucratic structure may also be to blame. “Some information is getting in but it’s not being used to halt investments in these dangerous situations where human rights violations exist and the rule of law is already compromised on the ground,” she said in an interview with teleSUR English. The IFC, in a written response to the CAO report, said that changes have already been made to address any procedural shortcomings. “Under this new structure, [environmental and social] risk will receive the same weight and attention as financial and reputation risk,” stated the response released on Monday. Tanya Kerssen, Research Coordinator for Food First/Institute for Food and Development Policy, told teleSUR English that critics shouldn’t look at the cases of Dinant and Fichosa as institutional failures on the part of the World Bank; rather, these cases should be viewed through the broader context of the Bank’s larger purpose of advancing capitalism and neoliberal reforms in the developing world. She also dismissed the IFC’s response of prioritizing environmental and social risks as nothing more than empty rhetoric. 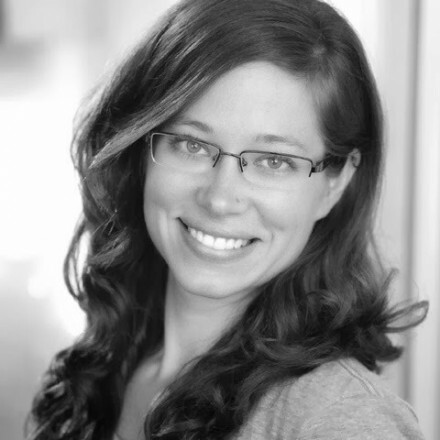 “Unfortunately, whether its agriculture or extractive industries, the Bank has a long history of using social and environmental impact assessments as a means of pushing projects through and legitimizing them instead of as a tool to examine the real impacts of a potential investment,” said Kerssen.